Hotchkis Sport Suspension 1305 1978-1996 GM B-Body Lower Trailing Arms. Hotchkis Performance lower trailing arms for your 78-96 GM B-Body improve traction reduce wheel hop and improve handling and stability. 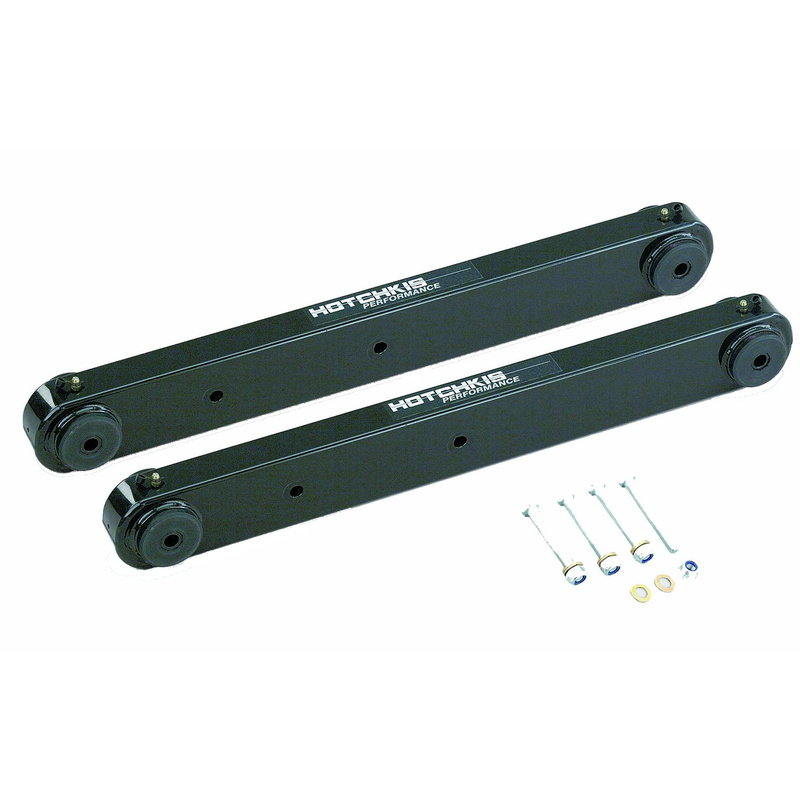 Designed as direct replacements for weak stock trailing arms Hotchkis trailing arms feature TIG-welded construction from one piece of parent material quiet operating greasable polyurethane bushings sway bar mounts and a powder coated finish. Please Note: This part has zerk fittings mounted on the underside to allow for easy lubrication. When used offroad on SUV/H2 applications damage could occur to these fittings. Black Powder coat. Specs: Length 22 in.